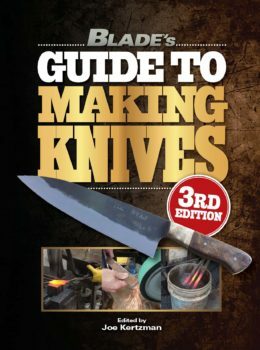 Don’t Miss The World’s Greatest Knife Book! 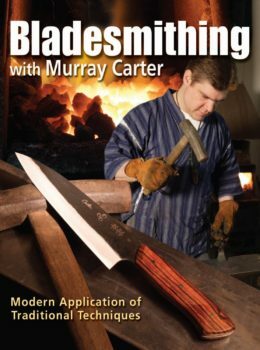 Category Knife Books - ShopBlade.com Tag: Knife Books SKU:: N/A Format:Digital Book, Paperback ISBN: 9781946267559. 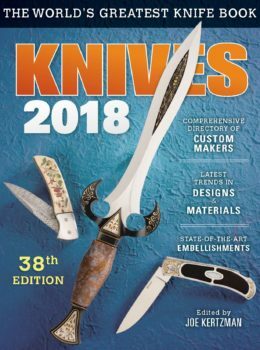 The two knives on the cover represent a few of the newest trends in knives. One is san mai, laminated or “sandwich steel,” in which a hard steel core, the eventual edge, is sandwiched by outer layers of another steel, and then of course forged, ground, heat treated, finished and etched to show where the steels come together. Another hot segment represented is small fixed blades or hideaway knives, and in this case showcasing a trendy mammoth tooth handle. Josh Fisher’s san mai fighter, at left on the cover, features 9 inches of sandwich steel accompanied by blued fittings and a stag handle. The keenly shaped full-tang RWL-34 fixed blade by Michael West at right parades a 10,000-plus-year-old mammoth molar root grip that’s set in Argentum silver. There seems to be no limit to the knife styles, materials or imaginations of the makers. Phenomenal! 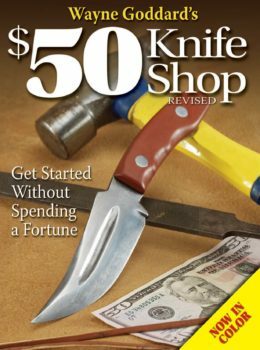 Joe Kertzman of Rosholt, WI, is BLADE Magazine’s former Managing Editor, author of the Knives annual book since 2000, and Art of the Knife, Blade’s Guide to Making Knives and Sporting Knives.